The best of the web, in one focused place. 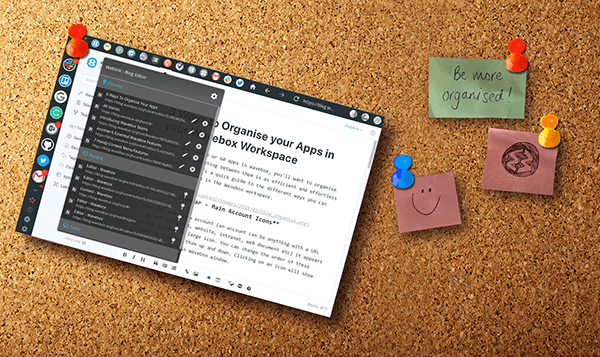 Install Wavebox on your desktop and add the apps and websites you use each day. 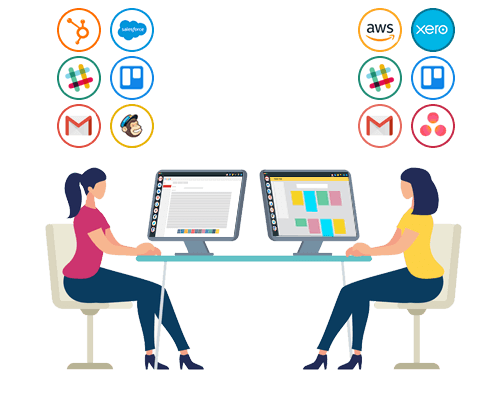 Then effortlessly switch between them to create faster, more productive workflows. Install Wavebox on your computer and add your favourite web apps, services and websites – you can add anything with a URL. Then switch between them as you work, staying signed-in to receive real-time updates. Your Wavebox subscriptions can be used on any number of machines! That’s right, ANY app. If it has a URL then you can add it to Wavebox! 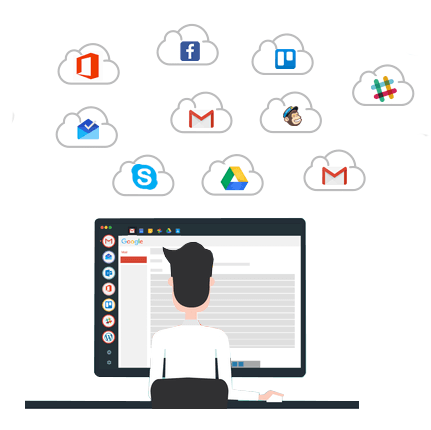 Your daily workflows probably include everything from web apps and services, to CRM systems and work intranets. So that’s why Wavebox can support anything with a URL. 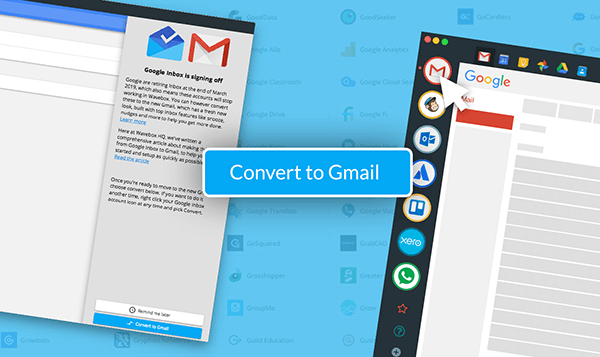 Then once you’re signed-in, you’ll stay signed in – even across accounts of the same type e.g Gmail. Start your Wavebox in the morning with everything open, signed in and ready to roll. 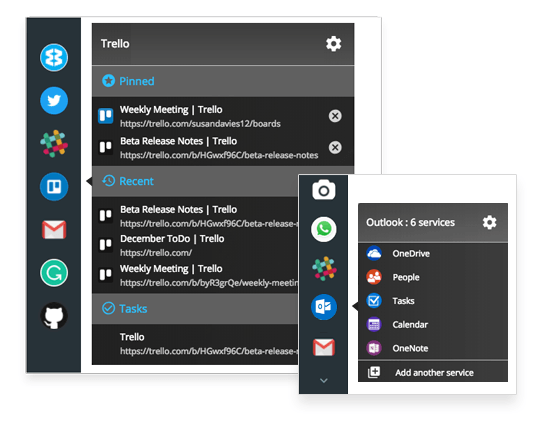 Organise your app icons in a way to suits your workflow – you can use the sidebar, topbar, context and tooltip menus to easily reach the content you need. Everything is in one place, nice and tidy. Are you ready to spend your days in Wavebox? Fed up on bloated browser tabs slowing your machine? 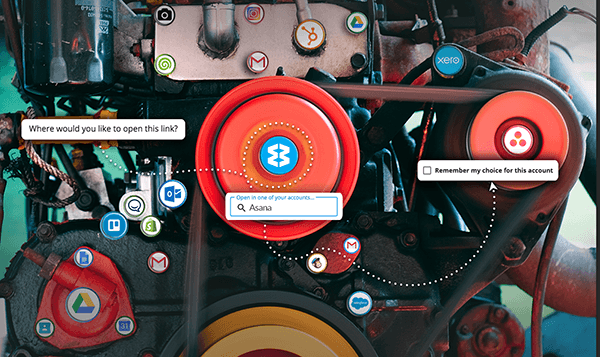 Access all your web apps from the Wavebox window, simultaneously, and use your favourite Chrome extensions without slowing your machine. 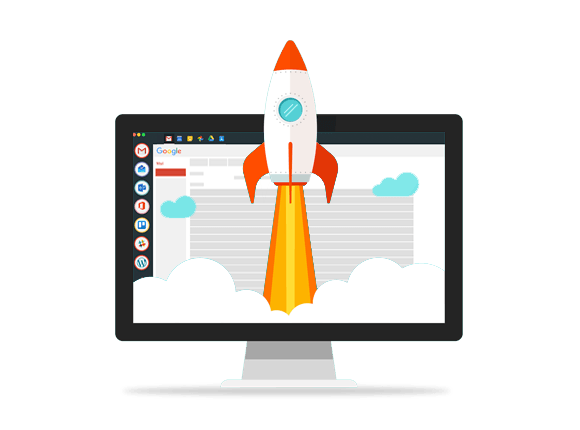 Wavebox cleverly uses your machine’s memory to improve on the browser experience by being faster, leaner and with sandboxed security. how does wavebox manage memory? With so many apps on the go, you could spend your day just trying to keep up! 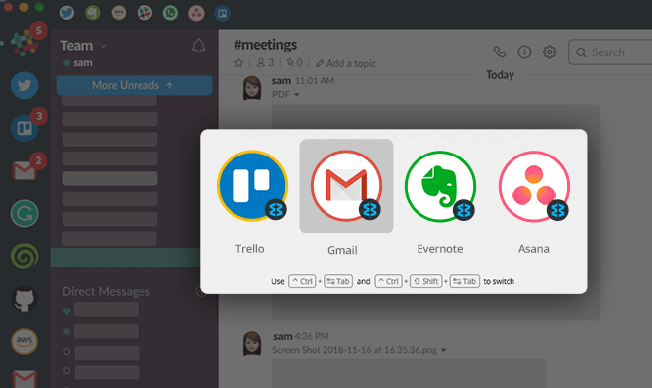 With Wavebox, unread badges, desktop notifications and tray notices (Mini Menu) will ensure you stay informed, even when it’s running in the background. You can also tailor notification settings for each account to suit your workflow. You can even mute them all with just one click when you need time to focus. how does the mini menu work? ‘Pin’ frequently used webpages to create bookmarks, transform them into ‘Tasks’ and quickly jump between previously visited pages using ‘Recents’. These are just some of the advanced navigation features that will help you to save time when working between apps. You can also use our Quick Switch feature to hop between recently used accounts. 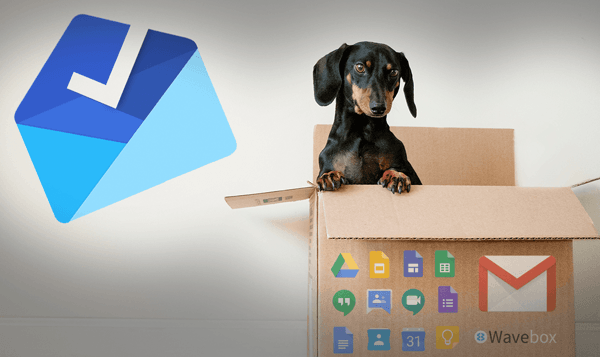 Wavebox makes onboarding your team a breeze! 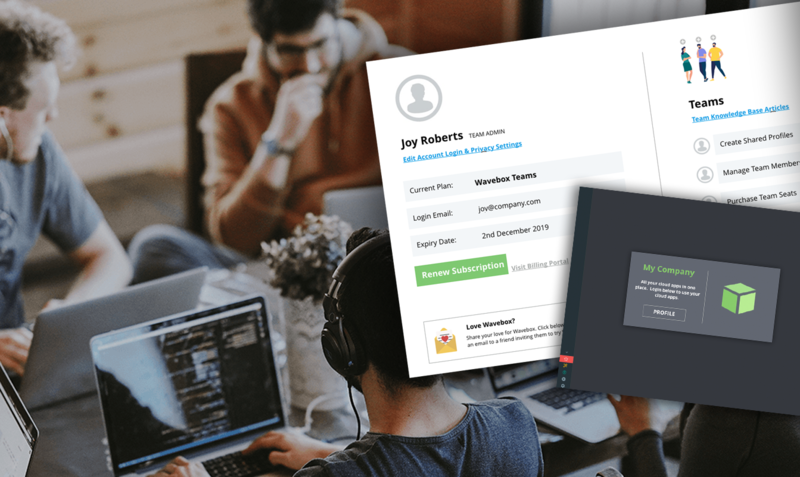 Different departments need different apps, so as Team Admin you can setup as many Wavebox profiles as you like and link them to team members. So when a team member signs into Wavebox for the first time, all their apps and websites are pre-loaded, ready to go. My respect to the @waveboxio development team for being so active and helpful on GitHub! You rock! Just want ta say TY for Wavebox team, GitHub community, and for all who made WaveBox better and better each release! Simple to setup, easy to use and packed with great features. We’ve worked hard to ensure that Wavebox fits effortlessly into your existing workflow. Wavebox supports Windows, Linux and macOS, so you install it on all of your favourite devices, both at work and at home. One Pro subscription can be used across all your machines. Bring your extensions with you. 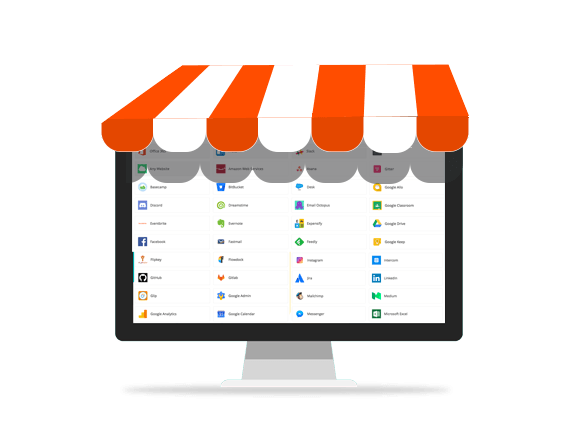 As well as LastPass we support Markdown Here, Boomerang, Gmelius, Mixmax, Grammarly, Clearbit & Todoist and Dropbox. Never miss a thing! 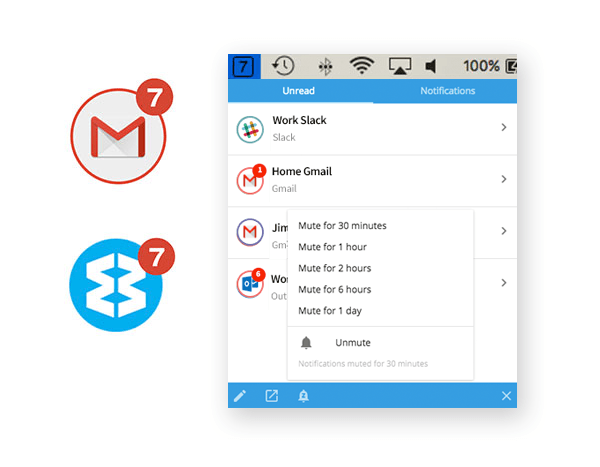 You’ll get updates across all apps, even when they are in the background, via desktop notifications, the tray menu and unread badges. Scalable, secure and easy to customise. Wavebox has become the cloud productivity tool of choice for thousands of delighted users and teams worldwide. I never knew that a simple app like Wavebox could make my days much more productive. I now have my browser in one window, and Wavebox running 2 Google accounts and Slack in the other. I just wanted to say that Wavebox is fantastic. I've tried numerous email client solutions and none of them worked for me. Wavebox however, works perfectly, thank you for creating such a great tool. I've been using @waveboxio for 2 weeks now on Mac, Linux, & Windows. Never going back. All my email, slacks, twitter, and so much more in one place. Memory savings alone make it worthwhile.